The Algarve is one of the best golfing destinations in Europe. It’s warm and sunny year round weather makes playing golf pleasant in any season and this southern coastal region of Portugal has several championship quality courses to play on, including Quinta de Ria, Boavista, Palmares and Vale do Lobo. The Algarve also offers great nightlife, charming historical towns, delicious fresh seafood and stunning natural areas of beauty to explore when you are finished golfing for the day. 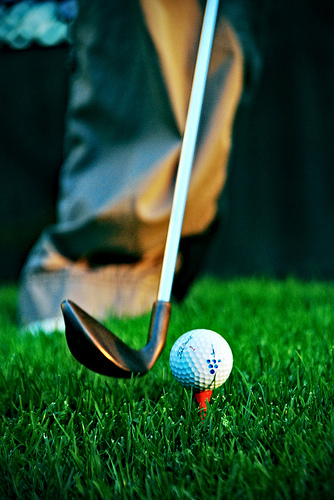 One of the most important aspects of your golfing holiday is of course, the golf. It will make a big difference if you are able to get the tee times that you desire so that you can as many golf games into your holiday as you like. Many people like to book an early tee time while golfing in the Algarve, as it is more pleasant to golf in the morning before the heat of the day in the afternoon. The best way to ensure that you get the tee time that you desire is to book early. The golf courses can get very busy and you will not have as much choice if you are booking at the last minute. Sometimes you might even get incentives and discounts for booking in advance. Sometimes Algarve resorts, such as Quinta do Lago villas, will offer special discount packages for golf and a hotel stay. These holiday packages can sometimes be cheaper than it would be to buy your hotel and your golf passes separately, so they are worth looking into so that you can get a better golf holiday for less. If you plan on only golfing at the Quinta do Lago villas golf course and staying around this general area, you will probably not need to hire a car during your holiday. If you need to take the odd trip to somewhere else, it will be cheaper to take a taxi. However, if you think that you might want to venture a little bit further and golf at a few different courses around the Algarve, renting a car might be the most efficient way to get around. It gives you the freedom to drive to any of the dozens of fantastic golf courses in the Algarve region, so that you can challenge yourself with different terrain. A great way to get more out of your golfing holiday is to visit during the off season. Most people head to the Algarve in the summer months because this is the hottest and sunniest time of year and the main purpose of their trip is to enjoy the beaches. However, if the main goal of your holiday is to play your favourite game on the Algarve’s great golf courses, the autumn or winter can actually be a better time to visit. It can be tiring to play golf all day in the hot sun, so the cooler temperatures of winter can be better conditions for your game. Also, during the off season you will find cheaper prices and fewer crowds at many of the resorts. The Algarve is a prime location for a golfing holiday and with these tips you will be able to get the most out of your next golf getaway. Steven Capocci is a freelance travel writer who focuses on the best golfing destinations in Europe. He has been recently come back from a golfing trip to Quinta do Lago villas with his work colleagues.